The packaging is a super sleek reflective black plastic casing. Extremely travel-friendly. 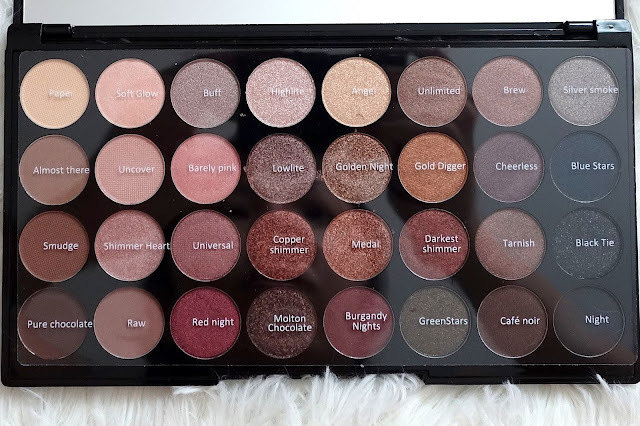 After using this palette a few times, I must say I'm not a big fan. I really wish I loved this. It is so sleek and pretty. The last shimmery highlight colour on the top row is my least favourite. It is way to glittery and has tons of fall out - did not work for me at all. Whereas the one next to it has a very light hint of shimmer but not highlight-y enough for my taste - if you prefer something subtle for a highlight, this could work. As for the first two matte shades, I only find myself reaching for the yellow one to brighten my under-eye but it could be more fine as it can look cakey and super powdery with a heavy hand. I do not see myself using the shimmery bronzing shade. I do like to mix the first two matte shades together for a contour and bronzing colour. Can we take a moment and appreciate this gorgeous packaging? But why isn't this the actual colour of the palette!!!! Anyway here is a Mac lipstick for size comparison. 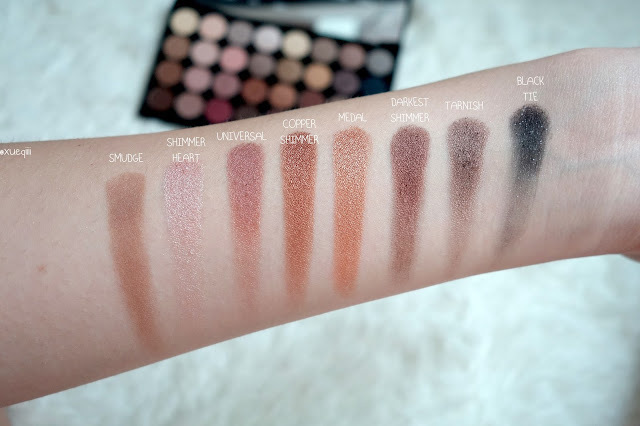 The shadows are quite small but definitely worth the price as there are tons of colours! Up close of the shades.. Many coppery and burgundy shades. 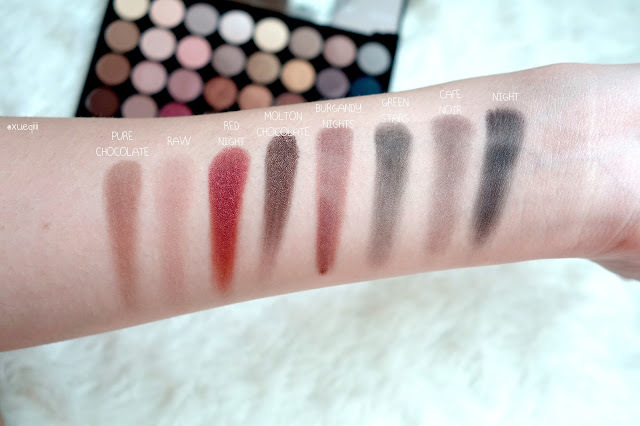 As you can tell, most of the matte shades in this palette aren't so fantastic - especially the first shade 'Paper'. The rest I had to swatch a few layers to get the colour to show up. Not a fan of the mattes definitely. However the shimmery metallic ones are great - most only swatched with a single swipe. 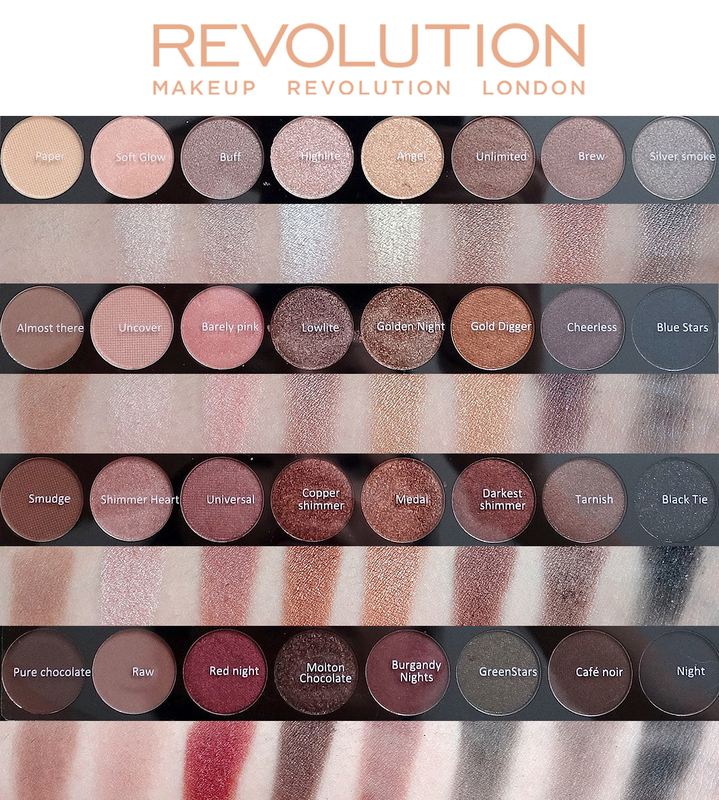 I love the last two rows reason being they have significantly better pigmentation. 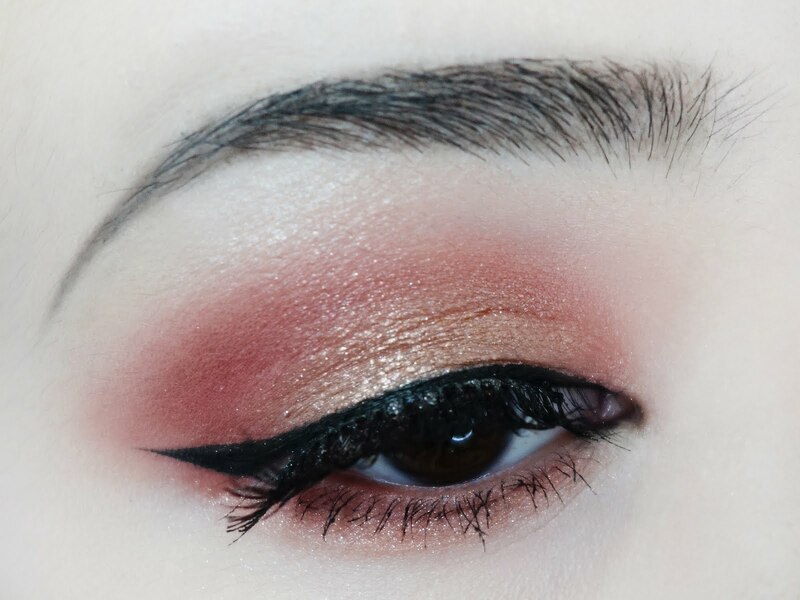 I used 'Red Night' lightly on my lower lash-line and it looked amazing with just a hint of red - something different. 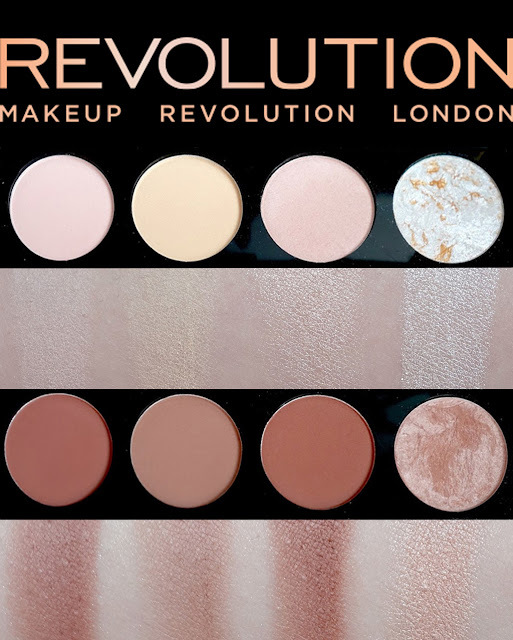 Overall, this is a good palette - value for money. But I really do not see myself reaching for this often. On the other hand, if you want an all-round good quality palette and don't mind investing in one then I would definitely recommend the Tarte, Too Faced and Lorac ones. 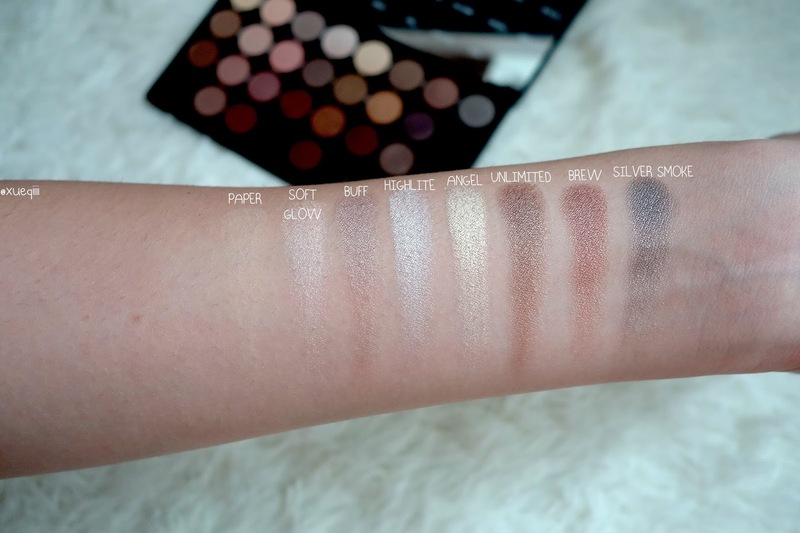 Such buttery shadows that has amazing pigmentation! No regrets. 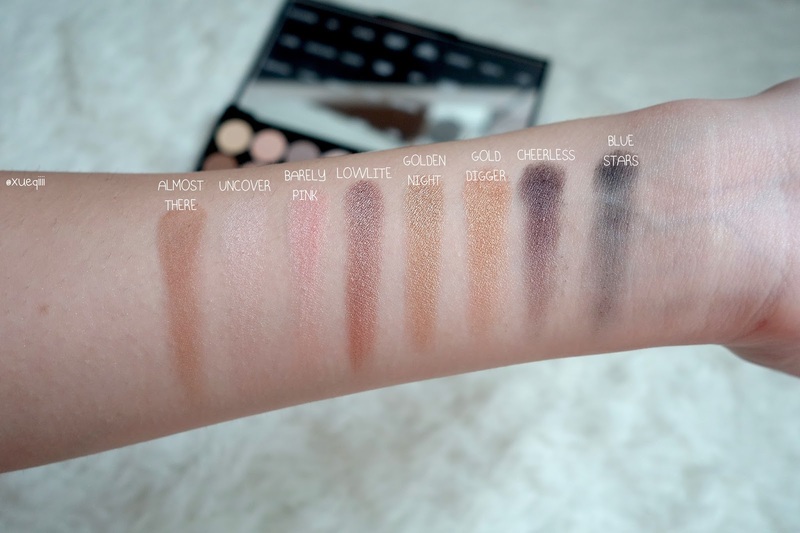 I will be uploading a swatching post of the Lorac Unzipped palette soon. Do stay tuned for that post to check out the amazing shadows!